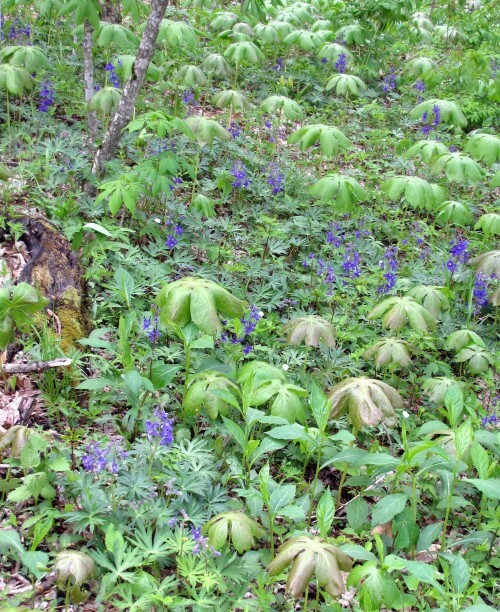 Rich, moist forests, especially over mafic or calcareous rocks, less commonly (as along the Roanoke River in ne. 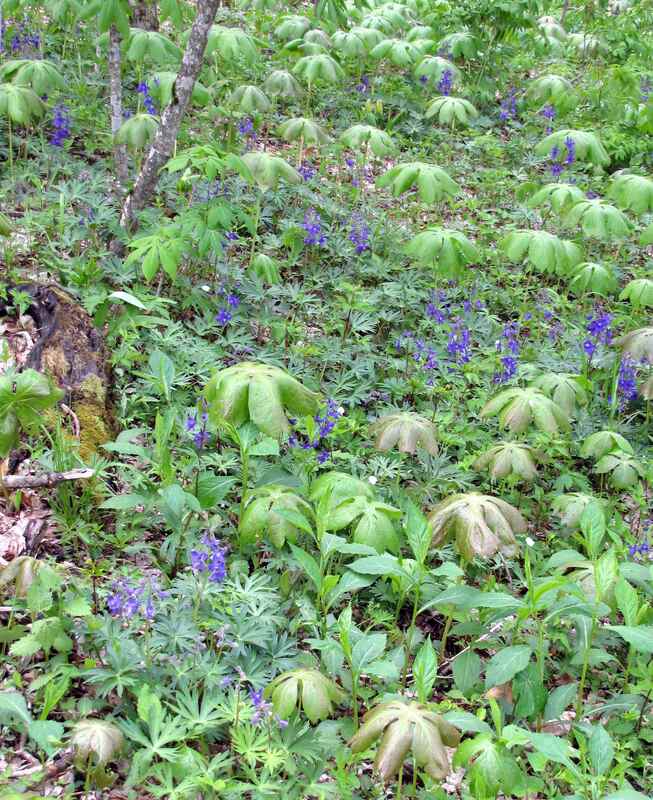 NC) on very fertile alluvial deposits. Uncommon in NC Mountains, rare in Piedmont and Coastal Plain. Goes dormant in the summer. May grow from 8" to 18" in height. 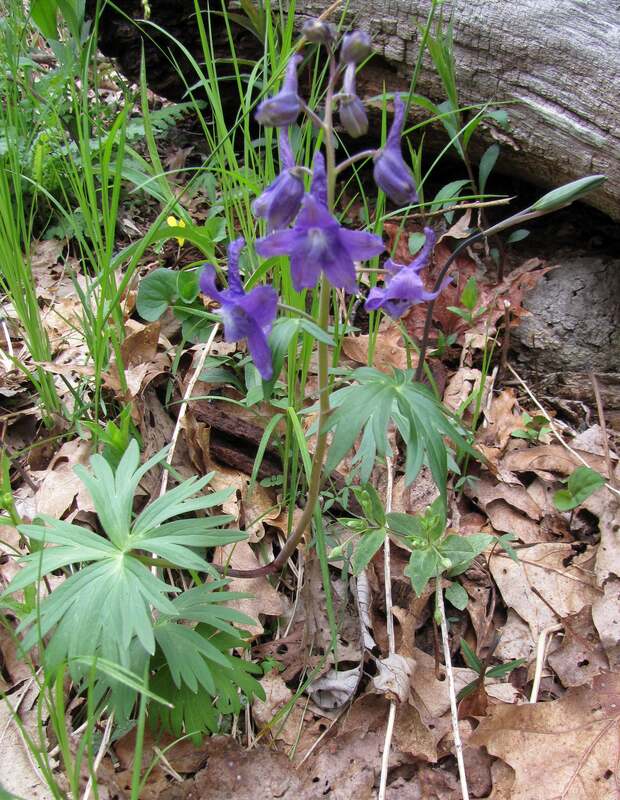 Uncommon in the mountains, rare in the Piedmont and Coastal Plain, Dwarf Larkspur grows in rich, moist woods.